Today I’m going to cover something that people always, always ask me. 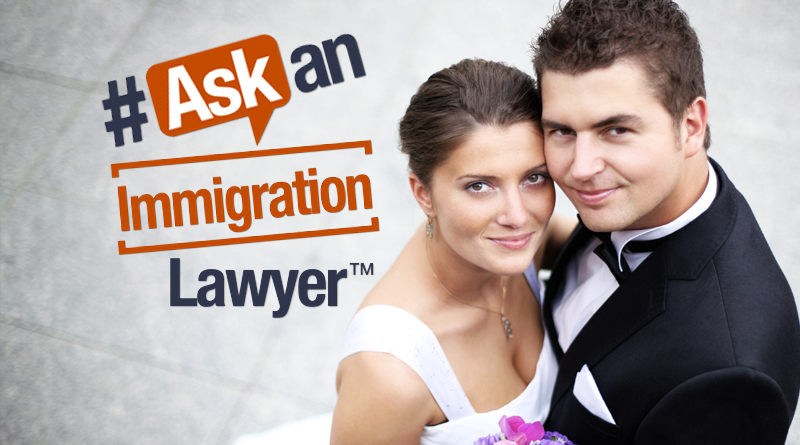 How do we prepare for a green card marriage interview. The green card marriage interview usually takes place about three or four months after the application for the green card is filed with the immigration service, also known the 485 and I-130 Adjustment of Status package. Again, there’s some things that you need to know in preparing and attending this green card. First of all, I always tell my clients be on time for the interview. You can’t imagine how many people come late or five minutes before they get started they forget something in the car. I would say at least arrive 45 minutes before the appointment because you never know. Dress reasonably and conservatively. You don’t have to be very formal. Think about it as if you’re going for a job interview. This is probably the best tip I can give you. Next thing is always listen carefully before you answer anything. Sometimes before you respond, I would ask you to count until five in your head. The reason is because it takes you five seconds to comprehend the question. So always reply to the officer’s questions as briefly as possible. They are given very, very short amount of time to ask you questions. You don’t want to start rambling on stuff that they are not interested. You answer what they ask and you think carefully before you answer. Very important thing is never guess anything. It’s better to say I have no idea, I don’t know instead of guessing. Because if you guess and it’s not true, they may assume that you try to lie to them. Never memorize anything. Because if you start memorizing things, it’s going to be a problem because then you’re going to get confused. Like I said, if you don’t remember, just say “I’m sorry, I don’t remember.” If they ask you what visa did you use the first time when you entered. You’ve been here for seven years and you have many visas. If you don’t remember say, “Unfortunately I don’t remember but it’s all in the file and I can look at it.” It’s better to say “I don’t remember” than give a wrong answer. One thing that is important is prepare documents carefully. Come with all the documents in order. Make sure you know where the originals are. Make sure you know where the copies are. Make sure you prepare another set for the officer. Make sure the photos are organized carefully. That you have photos of you and other people together. It’s very important that when you present the documents, you clearly understand what is in the documents. If you have a bank account and they want to see it, you should be able to explain it instead of looking like you see it for the first time. Another important tip is never argue with the officer, ever. Even if you don’t have an attorney with you, accept what they say, take notes because they’re not going to make a decision right there. There’s always going to be an opportunity to respond. Remember, the biggest thing that people are always worried that they’re going to get a decision right there and then. No. Even if the interview is not going well, they’re not going to deny you on the spot. They’re going to send you a note and you’re going to have a month to respond. But it’s important to understand what happened, never argue, and be prepared. What are some of the common questions they ask you? Well, some of the questions they ask you — let’s go through five of them. Where did you meet your spouse? What are the names of her parents? What is her date of birth? What is the date that you got married? What bank accounts do you use and what banks do you back in? What is the color of your sofa in the living room? Things like that that I’ve seen happen recently but, of course, there are many, many, many questions. The key is be prepared, be comfortable and not nervous and you’ll do very well. Thanks for listening. You ask, we answer, and we’ll see you at our next episode.